Check out more of my fav de-bloating teas here! If you do all of these, and still experience bloating, then you may have a food intolerance; this could be from an allergy or intolerance. If you have a major concern, then you need to get to the ROOT CAUSE of your gut concerns. Which is where I come in! This is my favourite thing, learning all about your body and understand WHAT and WHY these symptoms are happening – not just giving you a bandaid solution – actually getting to the root and HEALING it once and for all! My Banish the Bloat Program is just what you need! During the 6 weeks we get to the root cause of your gut problems, understand which foods are causing the triggers, reducing inflammation and bloating and have you leaving the program educated, empowered and feeling on top of the world! 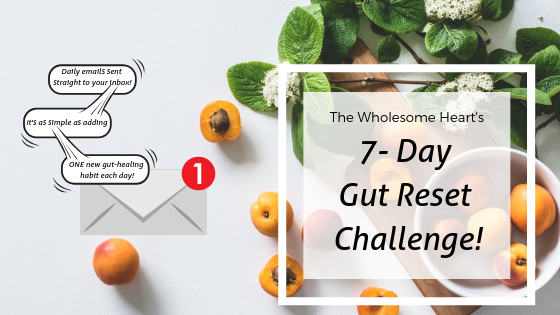 IF YOU ARE LOVING THESE TIPS, YOU WILL ALSO LOVE MY 7-DAY GUT RESET CHALLENGE! DAILY GUT HEALING TIPS STRAIGHT TO YOUR INBOX! ONES YOU CAN IMPLEMENT STRAIGHT AWAY WITHOUT ANY THING CRAZY! Click Here to Join the FREE Challenge and Learn more!